The 150m-year-old skeleton of an Ornitholestes dinosaur will sell as part of Sotheby's Natural History auction, to be held on September 30 in Paris. The 7ft-long holotype was incredibly important in adding to knowledge of the species, and is expected to sell for $477,000-613,000. Ornitholestes translates as "bird robber", a name given due to the dinosaur's long limbs, which gave it the speed and agility needed to catch birds, small mammals and lizards. 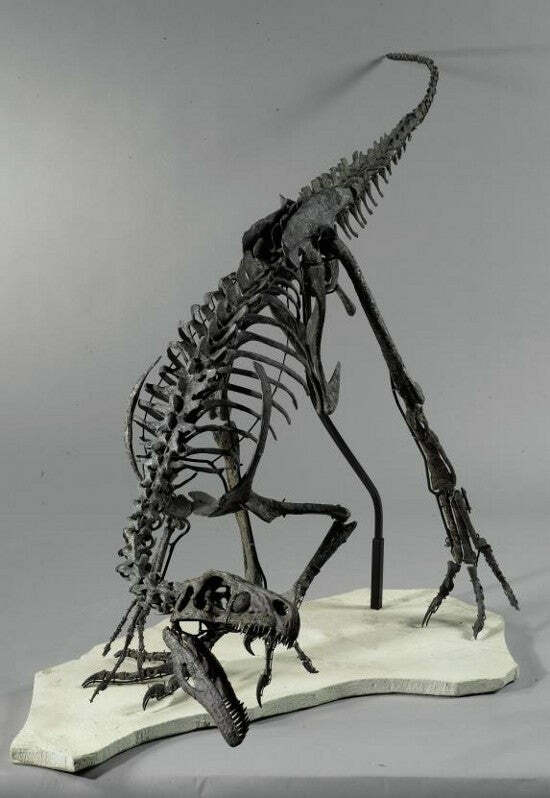 It lived at the end of the Jurassic Period, with this example found at Bone Cabin Quarry in Wyoming. 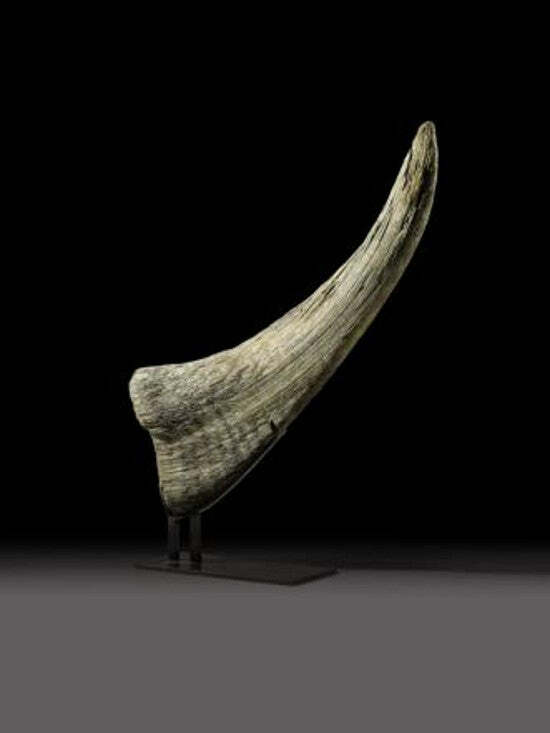 Also starring is a woolly rhinoceros horn, which is expected to see $20,500-27,000. As its name suggests, the woolly rhinoceros is similar to those we know today, yet was covered in a thick brown coat as protection against the icy cold of the steppes of Eurasia. It lived during the Pleistocene era (2.5m-11.7m years ago) and, like modern rhinos, it also had two main horns, one of which is available in the sale. The catchy-titled Ichtyosaur Stenopterygius Quadridcissus will also make an appearance, estimated at $68,000-95,500. A marine reptile, it lived during the early Jurassic Period and liked warm, shallow seas, catching other fish with its long beak and jagged teeth. The fossil, encased in slate, measures 6ft 3in long and retains its four skeleton legs - a rarity for this species. Sign up to our free newsletter for more of the latest collecting news.